Our rooms were renovated in 2011 and furnished with new furniture and beds with spring or box mattress. 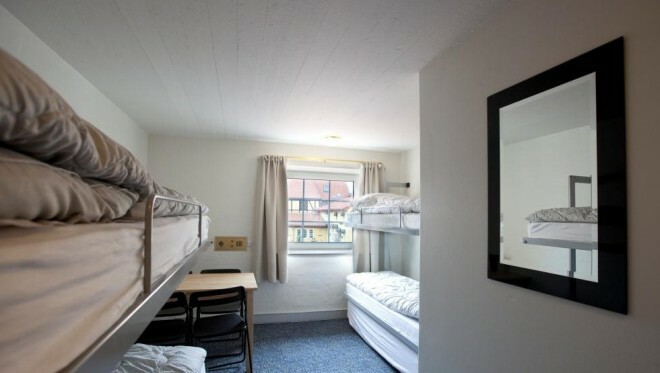 The rooms are bright and welcoming and can be adapted to your needs – whether you wish a single room, double room, or bunk beds for up to 6 people in the largest room. The beds have very soft duvets and pillows, and you can choose to bring your own linen or rent from us. For hygienic reasons, sleeping bags are not allowed. It is possible to have a double bed in each room. In the high season (June, July and August), an additional 110 dkk is added per room, per night. Bed Linen/towel – 60 dkk per set (or bring your own linen and towel – sleeping beds are not allowed). Breakfast buffet, adult – 65 dkk per day. Breakfast buffet, children under 12- 35 dkk per day.